This tape opens with the end of a documentary. Then, the very first episode of Frasier. Frasier’s father moves in, with Eddie. 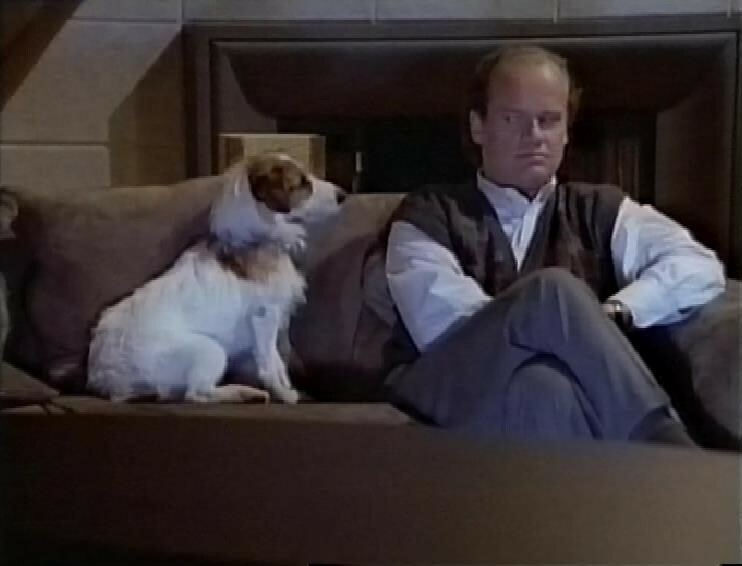 In the next episode, Frasier is mourning the loss of his personal space. 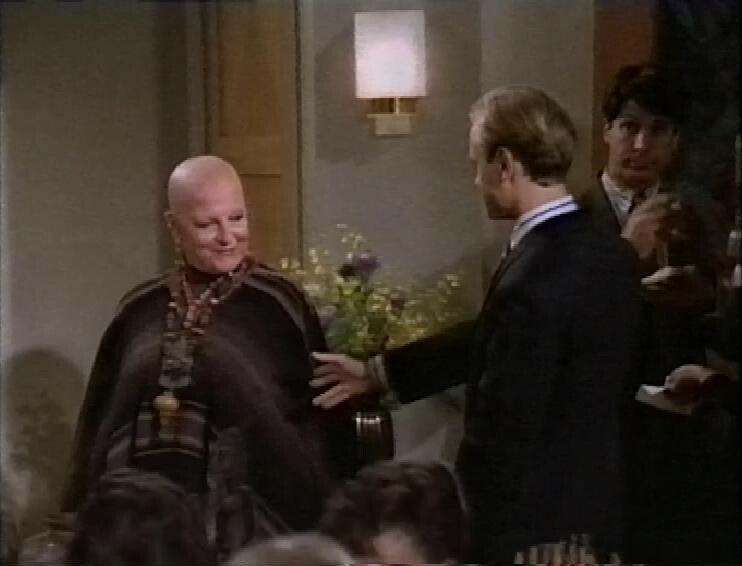 Next, Frasier invites an artist he admires to a party, and is mortified to learn his painting of hers is a fake. In the next episode, Daphne is shooting the picture for this year’s Christmas card. 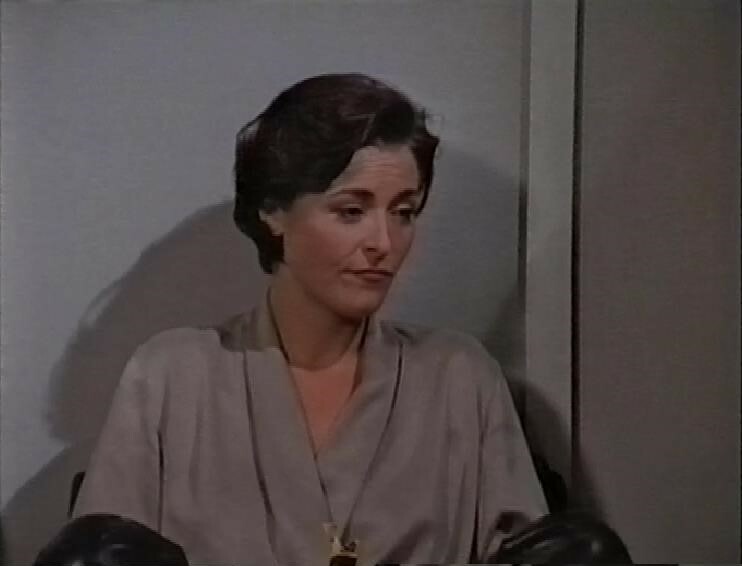 Amanda Donohoe guests as a woman dumped by her boyfriend after Frasier gives her boyfriend advice. 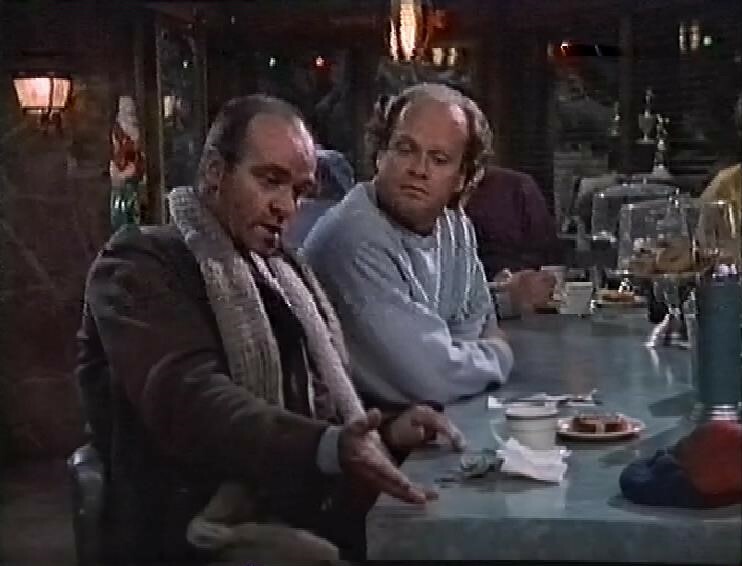 In the next episode, when they see Martin having dinner with an old family friend, Niles and Frasier think he must have had an affair with her when they were young. 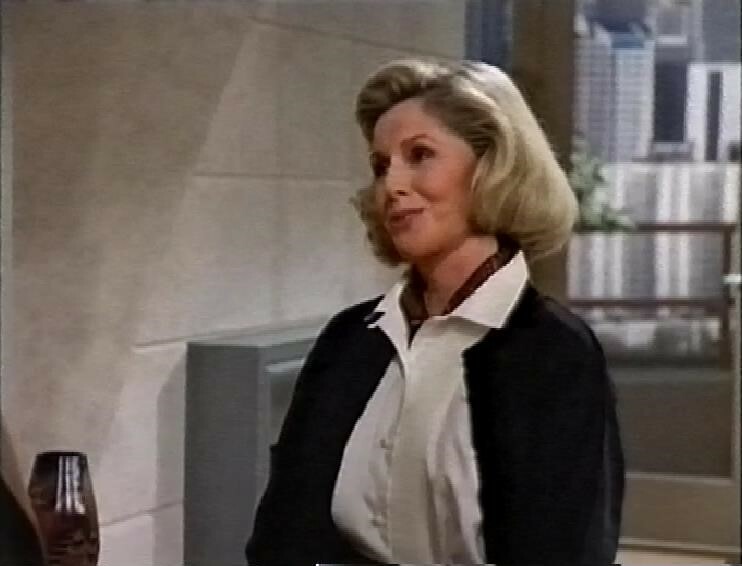 But when she comes to the apartment to apologise to Martin, she reveals that it was Frasier’s mother and her husband who had the affair. 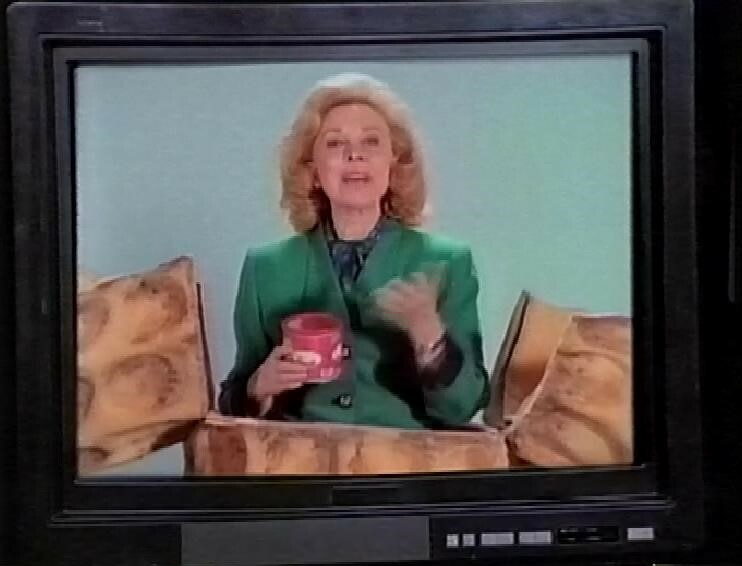 The next episode sees Frasier get an agent, and start doing commercials. But he begins to feel they’re compromising him, so he declines a big TV commercial. His place is taken by Dr Joyce Brothers. 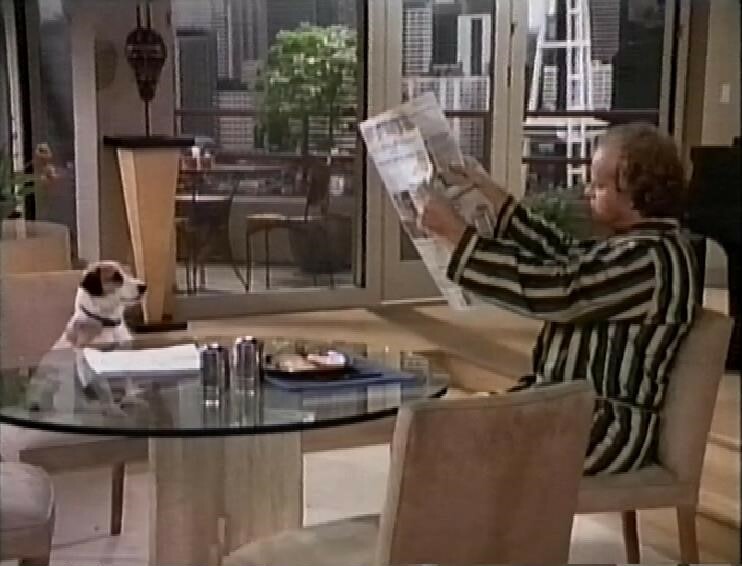 In the next episode, Frasier hears a rumour that Bulldog might be getting the sack, Bulldog overhears, and resigns in anger. 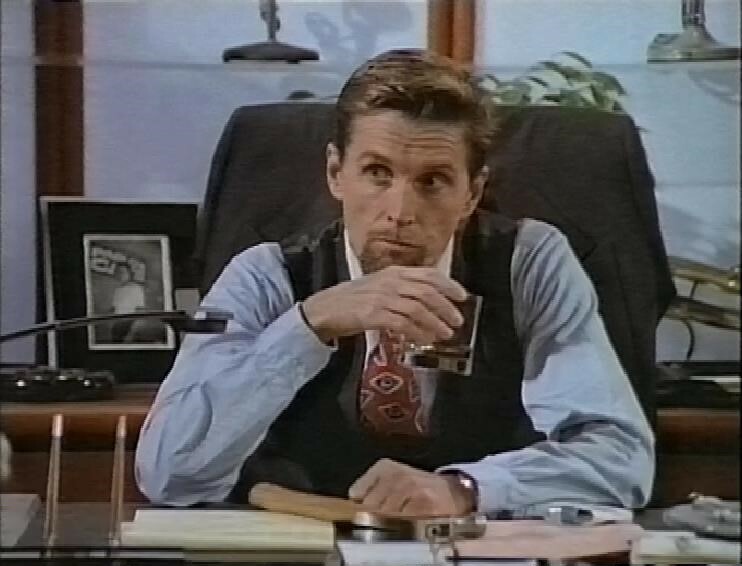 John Glover plays the head of the station. The next episode sees Frasier start to put his affairs in order, when his doctor dies suddenly, and he starts to consider his own mortality. 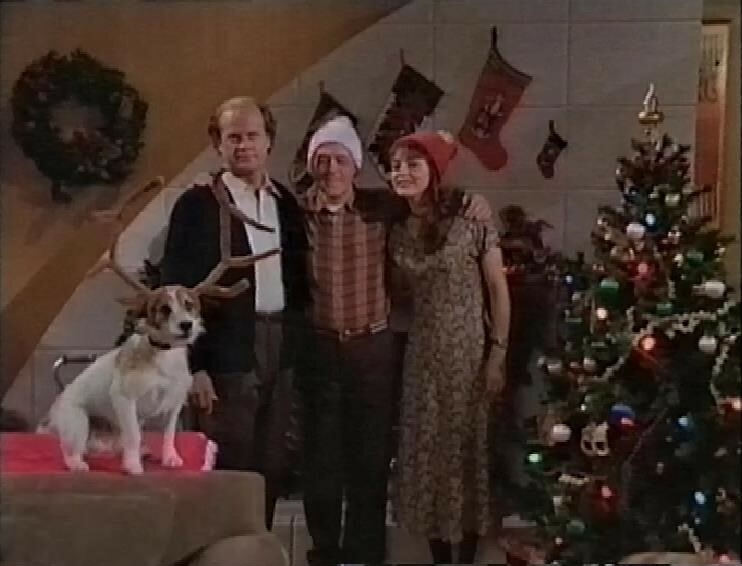 Finally, It’s really Christmas, and Frasier learns the true meaning of Christmas. After this episode, the recording continues briefly, with the start of Kids in the Hall. Have you ever had an unexpressed thought?